This machine (Axon II) will find the SOURCE of your PAIN! Simple in-office test identifies the root cause of many common pain symptoms 15 Minute Test - Painless - Non-Invasive (NO NEEDLES) - Extremely Accurate! We are pleased to announce we are now capable of performing this test in our office! 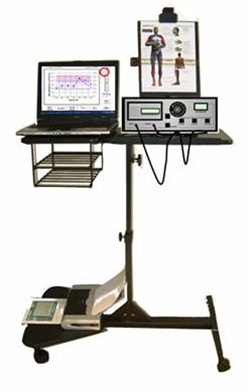 Advanced technology precisely identifies the exact level and side of the nerve root cause of pain that is usually not detected during motor nerve studies performed with EMG/NCV.